You’ll find the best of both worlds within this 800-acre private residential resort community located on the beach at Hilton Head Island’s South End. At first glance Shipyard Plantation is a vacation resort where a majority of real estate units are villas and condos as second homes and investment properties. But tucked away within its boundaries lies what residents consider one of the best kept secrets on Hilton Head Island, a private residential community primarily made up of single-family homes protected from the tourist trade commotion, but with full and easy access to all of Shipyard’s world class resort amenities. 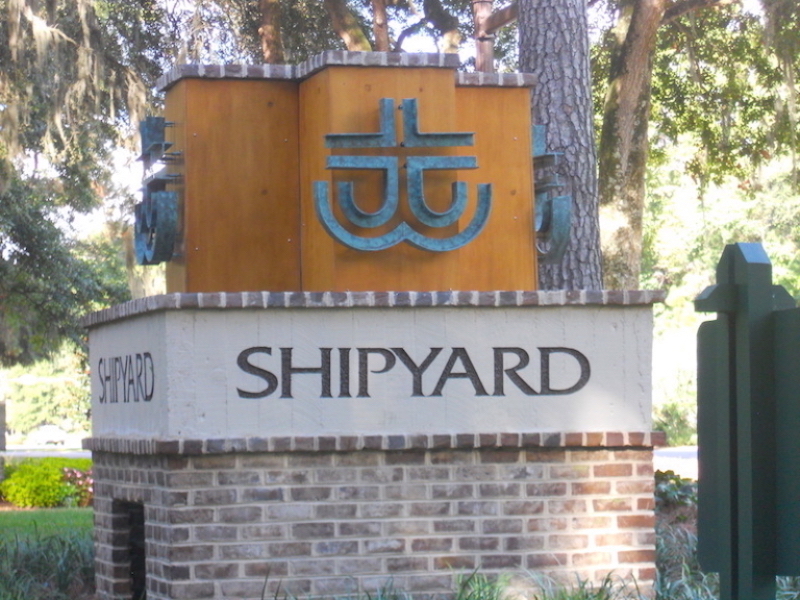 Shipyard Plantation is a great place to start looking for Hilton Head Island real estate whether you’re in the market for a vacation home or investment property, or you’re looking for a place to call home. Its South End location is hard to beat, with each of two entrances a mile or less from restaurants, shops, banks, movie theaters, the post office and more. 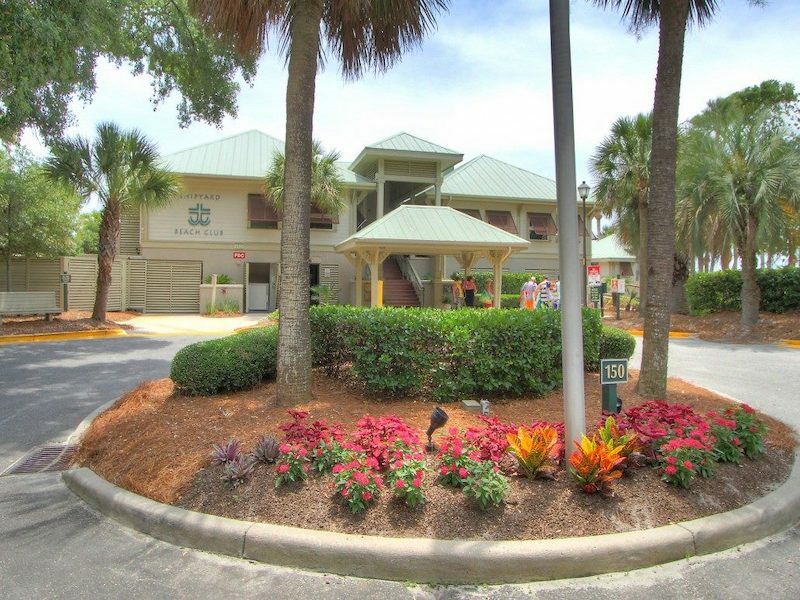 The Pope Avenue gate is minutes from popular Coligny Plaza and Coligny Beach, and the William Hilton Parkway gate gives you quick access to Mid Island, the North End and the bridge to the Mainland. A trio of nine-hole golf courses, a racquet club, miles of leisure trails, and a community beach club bring Hilton Head Island’s active lifestyle to your doorstep, whether in the resort areas or the private residential community. 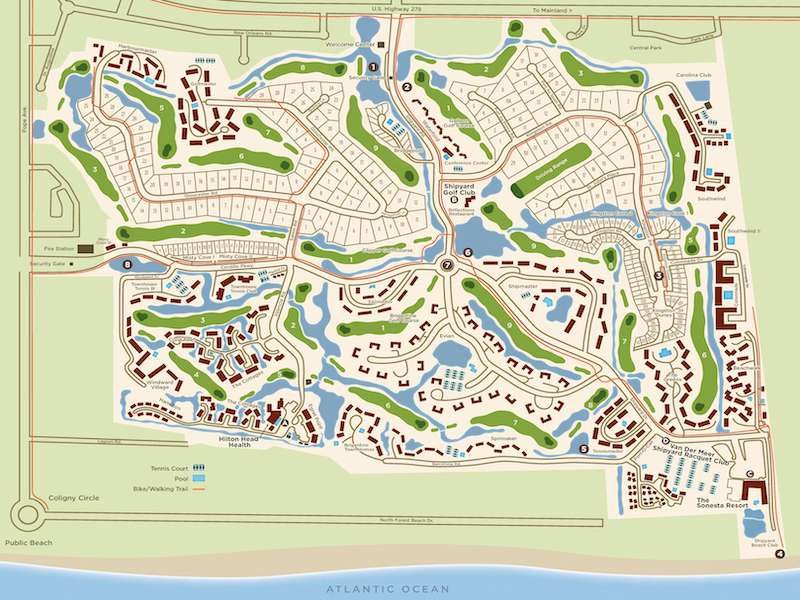 In terms of the properties available Shipyard Plantation is a uniquely diverse mix of resort and residential units including condominiums (villas), a majority with fairway views, interval ownership units and single-family homes, which are set off from the resort areas for privacy. Most of these homes sit on ¾ acre or larger lots, which is rare for Hilton Head Island private gated communities. An estimated 90 percent of homeowners in the private residential section are permanent residents giving the community a neighborly atmosphere. 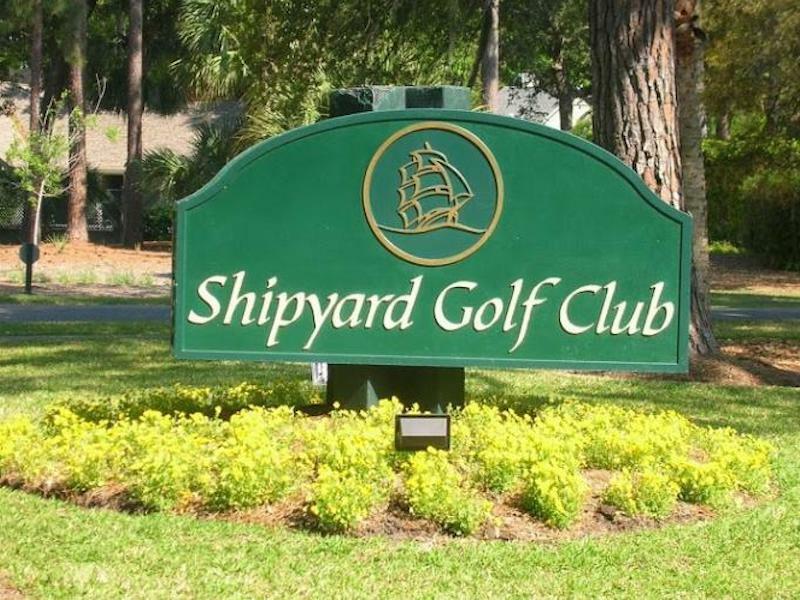 The Shipyard Plantation Golf Club boasts three nine-hole championship golf courses – the Clipper, the Galleon, and the Brigantine – wind through Shipyard Plantation. Residents enjoy playing golf on the Clipper and Galleon together for an eighteen-hole challenge, or Brigantine for a more relaxing nine-hole round. Either way, the many ponds and lagoons and palmetto trees, live oaks, towering pines and other indigenous wildlife create a spectacular Hilton Head Island backdrop for your day on the course. Four tee boxes accommodate all skill levels from beginners to low handicappers. Shipyard Plantation is home to one of the finest tennis centers in the country with 13 Har-Tru and seven hard courts. Eight of the courts are lighted and three are indoor. 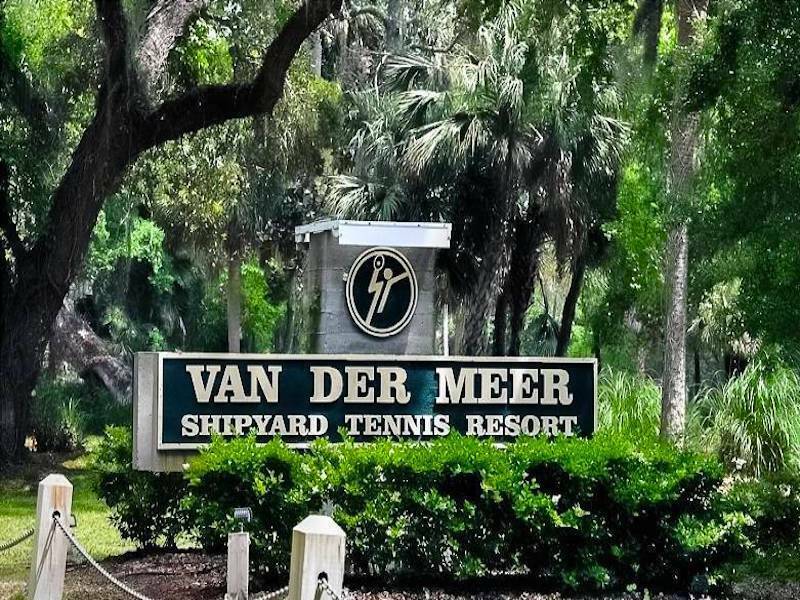 The Van-Der-Meer Tennis Resort offers junior and adult clinics and hosts tournaments and other events year-round. 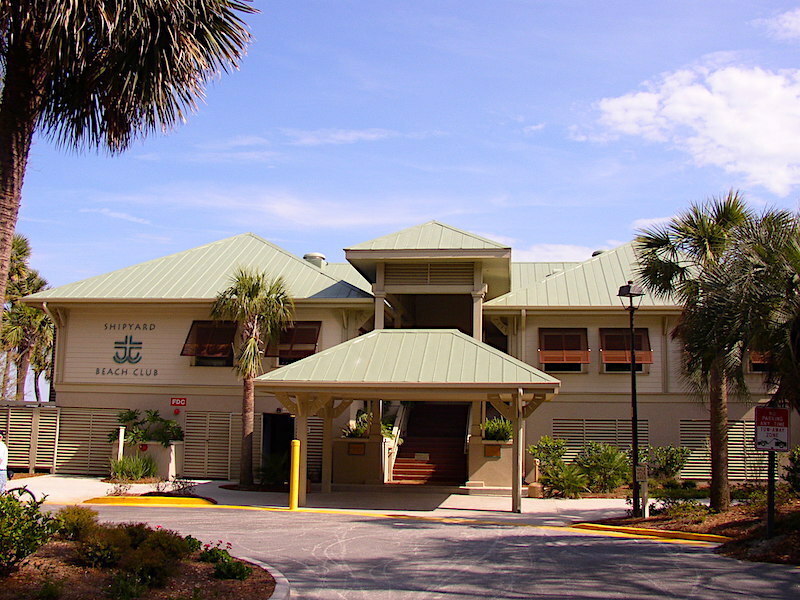 A favorite among Shipyard Plantation residents is a private community Beach Club, which provides a private beach access path, beach storage lockers for rent, restrooms and showers. It is a popular location for property owner events and other social gatherings. Although a majority of Shipyard Plantation is built for the vacation trade (second homes and investment properties), homeowners in the private residential section will tell you that they have ample separation and seclusion from the hustle and bustle. Tell us about your real estate desires. Whether you are interested in buying or selling a home or villa in Hilton Head Island or Bluffton, we are here to help.